Thus, this time around, with my self-portrait, I’m aiming to more closely match tones, while also paying attention to the smaller areas of light fall-off. With this attention, my hope is to create a more realistic rendering of my face. Here are two portraits that I made for my cousins Adam and Marissa. Measuring success for this challenge is certainly more subjective than last month (where I successfully memorized a deck of cards in less than 2 minutes). Clearly, there are major differences in realism between my starting drawing and this example portrait. So, if I can match the level of this example (which will be, of course, a subjective, but hopefully honest judgement), I will consider this challenge a success. Super SIMPLE Method: If it’s still a little confusing, check out my simple method here. It’s also paired with a video so you can see how I do it! And here’s my attempt to locate the peak of her hair, the lowest point of her chin (again on the chin’s left side), the rightmost point of her cheek, the leftmost point of her hair, and the notch of her neck. The first module of the course focuses on mapping out the portrait, which includes determining the shape of the head and locating the features. This beginners’ step by step tutorial is for a basic male face. The proportions are different for females. While technology-aided art still should probably count as art (in some capacity), this month, I’m committed to creating using only the tools shown below: 9 black pencils, 1 white pencil, a few different erasers, and a gray piece of paper (which I’ll explain another time). Now (and I hope this eventually wears off), when I see a new face, my first instinct is to estimate the ratio between the height and width of the head. Other times, I just look to see what shapes the eye sockets are. Or how prominent the brow ridge is. Or if the nose and brows equally break the face in thirds. Tomorrow, I’ll make some minor tweaks, sign it, and hang it on the wall. For now, before I get to the painting, I’ll start off by mastering the drawing part of program. With Derren, I wanted to ensure the portrait emanated three-dimensionality, so I pushed aggressively on the contrast of the portrait. I also didn’t care much for the micro-gradations of shadow/light, as I was more concerned with the correctness of the bigger shapes. So, I sighted the correct angles, and adjusted the construction lines accordingly. The portrait just feels balanced at this point. As soon as I start adding tonal values, that balance will be disrupted, and won’t return until I’m nearly done with the whole portrait. This was a bit of a mistake, but a good learning opportunity. As a result of this decision, unlike with my Derren portrait, I had to pencil-shade the mid-tones on my face, leading to a slightly dirtier portrait. (In the case with Derren, where there were midtones, I left the blank paper untouched and clean). To check, I then sighted the angle between the two new points, ensuring this angle matches what I see on Derren’s head. Draw a vertical line down the center of each eye. This will mark the lips’ outer boundary. Click here for my lips tutorial. If you’ve already read it, place your triangle in the small box under the nose to start. If you drew the nose well above line 2, extend the triangle so the tip touches the nose. Many RFA readers have requested me to write a tutorial on how to draw faces, so here it is! Getting to this point took me 2.5 hours, which was split between watching the video course and drawing my Derren portrait. Yesterday, I was able to sketch about 80% of the portrait. Today, I just need to add the final details. This portrait is the example drawn in the Vitruvian Studio Portrait Drawing Course, which is the course I’ll be following this month. So far, so good. Tomorrow, I’ll start blocking in the features. During high school, whenever I was tasked with making someone a gift, I usually opted to construct a custom Warhol-inspired portrait out of Legos. Even with the narrow tonal range, my self-portrait still maintains a believable roundness and depth. To me, drawing is a bit like doing your laundry. Before you do it for the first time, you feel it’s much more complicated than it actually is, and thus, you feel incapable of trying. Then, you’re shown that doing your laundry is only a matter of putting your clothes in the machine, pouring in some soap, and clicking a button. Much easier than you thought. This month, as I learn to draw faces, I’m experiencing a new phenomenon… For the past few days, I’ve found myself scrutinizing and deconstructing other people’s faces on the train, at work, on the street, at Whole Foods, etc. Wherever there is a face, I can’t help but try to analyze it, and imagine how I’d draw it. I start by blocking in shadow areas near the mouth, on the forehead, and on the neck. I’ve been holding off on the blending because my blending stump is unusably dirty. Last month, when I was learning to memorize a deck of cards at grandmaster speeds, I started unintentionally seeing playing cards in the real-world. In particular, real-world things (like wheelchairs and airplanes), which have association in my mnemonic system, were triggering images of playing cards, without any conscious thought on my part. After working for about an hour, I was able to finish sketching the outline of the head, hair, and neck. While these pieces may look like they required some amount of artistic genius to pull off (do they? ), that’s really not the case. Instead, these pieces just required some clever computational analysis, planning in Photoshop, and executional patience (while glueing and placing each Lego piece). As a result, the portrait definitely has a stunning roundness, but I wouldn’t call it photorealistic. Nine days ago, I began my 30-day quest to learn how to draw photorealistic portraits. Since then, I’ve watched the entire 10 hours of the Vitruvian Studio drawing course, as well as spent 14.5 hours working on my first portrait. Since the demo portrait in course is based on a long-haired female model, I had to do a bit more freestyling at this point. I think it works. Today, I didn’t have too much time to draw. So, I quickly progressed the Matt Damon sketch I started two days ago. Considering where I started only nine days ago (see the before portrait), it’s hard for me to believe that I actually drew this. It’s not perfect, but I’m definitely excited about the outcome. Today, to celebrate the New Year, I decided to compile my personal highlights from 2016, which includes Month to Master, but also everything else from my life. Thus, once I finished drawing, I came back to my dark apartment to snap a photo. While the Derren Brown portrait (with its ultra-contrasty tonal range) may be a more dynamic portrait, my self portrait seems closer to photorealism, which is the main improvement I was aiming for. As a result, the rest of my apartment is lit via Ikea floor lamps, which, although they do a 90% good job, it turns out, at night, there’s just not enough light for detail-oriented drawing. Take a look at the different faces I made below using rough measurements! I can’t seem to easily get the hair to be one smooth black mass. Instead, the grain of the paper is very noticeable, giving me a nice salted look. Even after aggressive blending with a blending stump and a dry brush, I still can’t get the material distributed nicely on the paper. I think that’s a pretty cool thing, so look out for my Medium post in 20 years. A smaller drawing offers smaller margins for error. If I slightly misplace the corner of the mouth or the height of the brow, the distance between the correct and incorrect placements represents a proportionally larger difference on a smaller drawing. In other words, smaller drawings are less forgiving and errors are more pronounced.A smaller drawing means finer details. My pencil sharpener doesn’t seem to work very well with the pencils I have, which means I’m drawing the tiny eyelids on my self-portrait with a tree trunk. Basically, the smaller drawing requires that I work in finer areas, which is challenging with the tools I have. The InstructionsMark the top of the head. Arbitrarily draw a line towards the top of the page. This represents the top of the head.Mark the bottom of the chin. Arbitrarily draw a line near the lower third of the page. This represents the bottom of the chin.Mark the notch of the neck. On the subject, using your pencil as a guide, measure the distance from the lowest point of the head to the notch of the neck. Determine how many of these distances can fit inside the vertical distance of the head. Use this is as guide to draw a horizontal line towards the bottom of the page to represent the notch of the neck.Find the highest point of the head. Arbitrarily determine a point on the top line. This represents the highest point of the head. Often, on the subject, this point sits far back on the head.Find the lowest point of the chin. Using your pencil as a guide, determine the angle from the highest point of the head to the lowest point of the chin. Draw a line at this angle from the highest point of the head (as marked on the page) down towards the bottom of the chin line. Draw a dash where these lines intersect. This intersection represents the lowest point of the chin. Find the leftmost boundary. Identify the leftmost boundary on your subject. Determine the angle to this leftmost point from the highest point, and draw a line at that angle from the highest point towards the leftmost boundary on the page. Do the same from the lowest point. Draw a marking where these two lines intersect. This intersection represents the leftmost boundary. The technique used to find this boundary is called triangulation. Find the rightmost boundary. Again, triangulate from the highest and lowest points to find the rightmost boundary of the head.Check the angle. On the subject, use your pencil to find the angle between the leftmost and rightmost boundaries. Check if this angle matches the angle represented on the page. If not, retriangulate and check again.Draw the outer-boundary of the head and hair. Triangulate points around the head and connect them with straight lines. Once the general shape seems right, smooth out the kinks. Check the angles between various points on the subject and on the page to make sure everything looks right. If there seems to be inconsistencies, retriangulate and adjust. Do the same for the hair line.Draw the vertical center line. Pick some central point that looks like its on the vertical center line. Triangulate from outer-points inwards to find this central point. Check the angle from the bottom/center of the chin to this point. Use this as a guide to draw in the entire vertical center line. As the center line approaches the top of the head, it typically flattens, as it rounds back behind the head.Draw the level of the eyes. The level of the eyes typically falls about halfway between the top and bottom of the head. Use this as a starting point. Draw in this level, and then check angles to confirm. Move up or down until everything checks out.Draw in the level of the brows and bottom of the nose. If you divide the face length into thirds, typically the level of the brows fall on the upper third line and the level of the nose falls on the bottom third line. Use this as a starting point. Draw in these level, and the check angles to confirm. Move the level up or down until everything checks out.Draw in the level of the start of the nose. The nose begins somewhere between the level of the brows and the level of the eyes. Gauge where this is and draw it in.Draw in the bottom and middle of the lips. If you divide the distance between the bottom of the nose and the bottom of the chin into halves, the level of the bottom of the lips typically falls at the halfway point. Use this as a starting point to draw in this level. Then, gauge where the middle of the lips falls relative to the distance between the bottom of the lips and the bottom of the nose. Draw that in.Adjust the center line for the nose. Starting from the level of the start of the nose, adjust the center line so its angle matches the center line of the nose. Typically this will be in two parts. The angle outwards from the level of the start of the nose to the peak of the nose, and the angle inwards from the peak of the nose to the bottom of the nose. Adjust the center line for the mouth. The mouth typically has some volume, which pushes the center line forward. Adjust the center line forward below the nose to account for the volume in the mouth.Draw in the shape of the eyes and eye sockets. Triangulate the corners of the eyes, and then draw in the complete shapes. Do the same for the lids and the eye sockets.Draw in the shape of the brows. Triangulate the corners of the brows, and then draw in the complete shapes. 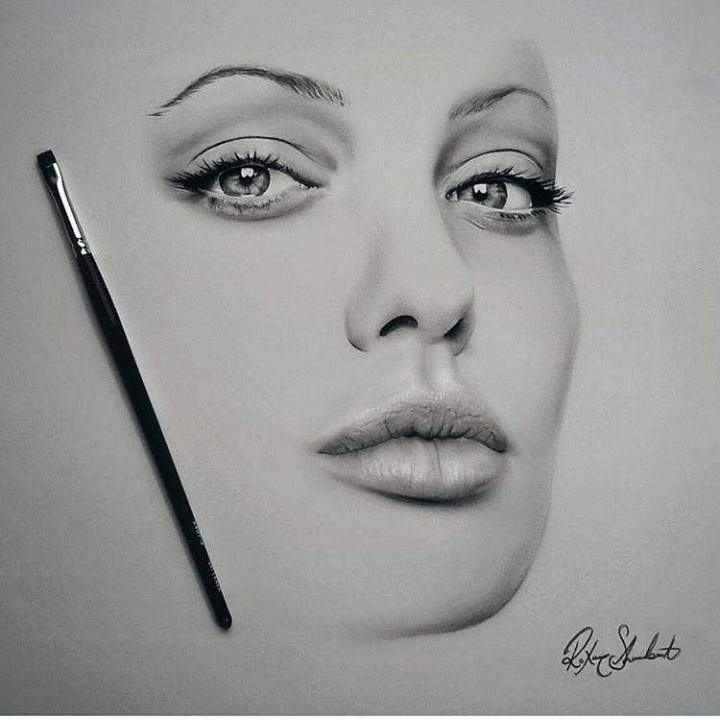 Draw in the shape of the nose. Triangulate the peak of the nose and the wing of the nose. Then, draw in the complete shape.Draw in the shape of the mouth. Triangulate the corners of the mouth. Then, draw in the complete shape. Draw in the level of the chin. Triangulate the level of the chin, and draw a line to distinguish the shape.Draw in the shape of the ear. Triangulate points of angle-change around the ear. Connect these points with appropriately angled lines, and then smooth out the kinks. Draw in shadow shapes. Identify shapes of main shadow areas. Triangulate their boundaries and draw them in.Darken the shadow shapes. Lightly shade in the shadow areas of the portrait. Use a soft, clean paint brush to smooth out the material on the page. This will introduce some 3-dimensionality to your portrait, which should help you better visualize if anything doesn’t seem quite right. If there is something that seems incorrect, fix it.Detail the eyes. Draw in the iris, pupils, and other details.Detail the nose. Draw in the nostrils and other details.Detail the lips. Smooth out the shape of the lips.Detail the ear. Draw in some of the main inner land marks. Key the drawing. Identify the lightest and darkest tones on the subject, and add these tones to the page.Modeling an area. Pick an area of the head (like the forehead), and detail some of the main places of tone-change. Identify and add in the main light and dark areas. Using a shading stump and the necessary pencils, fill in the transition tones. To better see the shapes of highlights and shadow, squint your eyes until the face isn’t recognizable as a face, but rather a collection of tonal blobs. Model the remaining areas. Continue as above until all areas are modeled.Sign it. And you’re done. My CritiqueThe face shape is accurateThe level of the features is accurateThe angle of the features is accurateThe center line curves a little too quickly as it moves up between the eyesThe neck shape is inaccurate — I especially misestimated the starting point of the neck on the right side. I did, however, bring a Rubik’s Cube with me in preparation for January’s challenge (which starts in two days). Then, I addressed the right half of the face — further developing the shadow. I left all my drawing supplies behind, so I’m definitely not drawing any more this month. 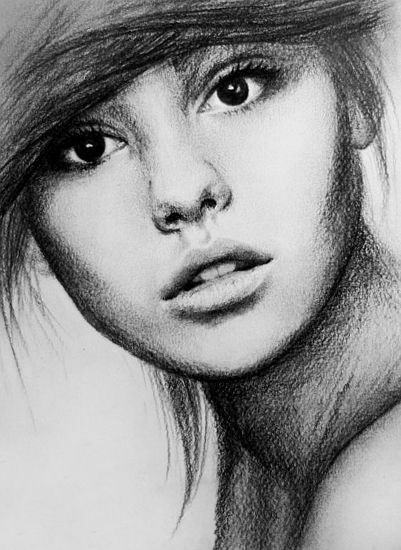 In other words, after practicing for about an hour per day for 26 days, I majorly improved my portrait drawing skills. As always, you don’t need to stick to the exact guidelines above. Learn how to draw heads using the basic guidelines and then mix and match facial features and face proportions. 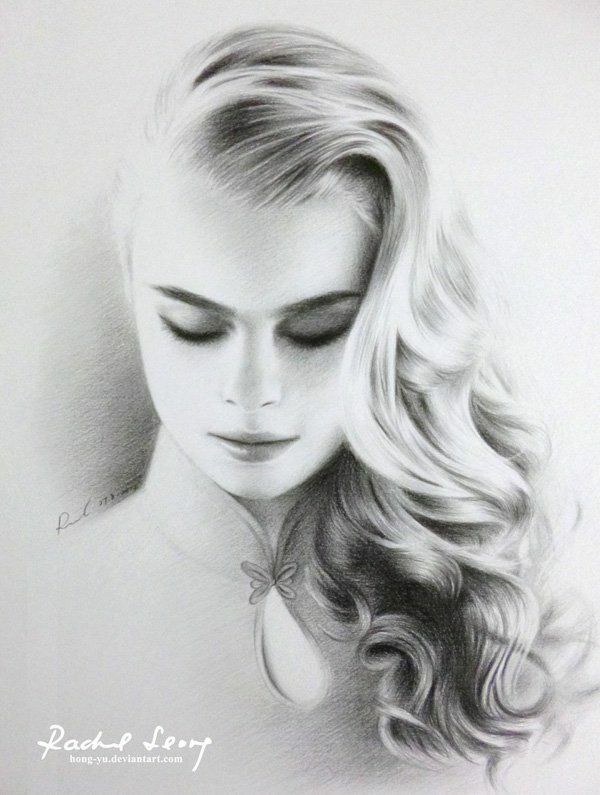 You may also like50+ Best Fashion Design Sketches for your Inspiration Free …Water Colour Drawing – Drawings 9+ Flower Sketches – Free Sample, Example, Format Free …80+ Amazing Digital Painting Collection/Gallery Free & Premium . ..8+ Leaf Sketches19+ Graphic Design Illustrations 60+ Best Abstract Tattoos Design Collection for your Inspiration …6+ Watercolor Sketches – Free Sample, Example, Format Free …Photo Manipulation Template – 71+ Free PSD, JPEG, Illustration . Take a look at the self-portrait side-by-side with the Derren Brown portrait. My head is noticeably smaller. In January, 2016, I was just starting to develop the itch to draw/paint portraits. In an attempt to make something that was commercially viable (to cover the cost of materials), I decided to paint a portrait of Donald Trump. Basically, you look at the area you want to draw, squint your eyes (so the image becomes blurred and your brain no longer sees a face), and identify the tonal shapes you see through your eyelashes. This works super well. (I didn’t invent this method, I’ve just validated that it works for me). With the features and shadows blocked in, I detailed the features, starting with the eyes. In other words, if the highlight on the forehead is angular, drawing it with rounded edges wouldn’t properly capture the form. Observation about today’s session: Based on the output from today, it may seem like today’s drawing was the most technically challenging. But, in fact, I found just the opposite. Especially before I smoothed out my face, it looked as if I had just been cleaning chimneys. Since, without deconstruction, the kitchen table doesn’t fit through the bathroom door (I tried…), I needed to find somewhere else to work tonight. With the construction lines as references, I was then ready to start blocking in the facial features. Here I try to locate the peak of his head, the lowest point of his chin, the rightmost point of his ear, the leftmost point of his ear, and the notch of his neck. In fact, challenges are probably a good thing (I hope). Ideally, they push me to become a better artist. However, the eye was too small to help effectively establish the key. So, I keyed the drawing more aggressively, starting with the shadow on the nose and the highlights on the forehead and cheek. To do so, tomorrow, I’ll focus, not on perfectly detailing the mouth and cheek, but instead, broadly blocking in the right tonal values. Tomorrow, I’ll write up a more thorough critique. But until then, I’m declaring this month’s challenge a success. Establishing the key is straightforward, and doesn’t require much visual interpretation (i.e. it’s easy to find the lightest lights and the darkest darks). While I am still very positive about this project, and happily take on the micro-challenges, I thought sharing some of these things would be more interesting than writing about how every day is always better than the last. There are 2 ways to do this step: Ruler or no ruler. I highly recommend using the ruler method for the first couple of faces you draw. Why? Because doing this step without it can throw your proportions off like crazy. Especially if you have trouble locating the ‘center’ of an object with your eyes. The no ruler method requires you to split multiple sections of the face in half and then in half again. Thus, instead of relying on visual inferences, tonal values can be better approximated through a simple, not-so-interpretative procedure. Yesterday, I practiced triangulating the proportions of a few celebrity heads. You can decide if this is cheating or not, but either way, this month is going to be different. This month, I am actually going to invest in my fine art skills. This month, I’m going to take a pencil and paper, and nothing else, and make it happen. Arguably, the contrast of the Derren Brown portrait makes it a more visually compelling portrait, but this is another topic completely (first, I wanted to master accurate portraiture before tackling well-composed portraiture). Today, I flew from San Francisco to Florida to meet up with my family for a few days. I’ll be here until January 4th. Ruler Method: Make a ruler beside your drawing that is the same height. The ruler should be marked so there are 8 equal spaces. Always start with the center line. Draw faint lines through the face on the markings labelled CENTER LINE, 2, 3, A, and C. As you get used to this, you won’t need to draw the ruler on the side. To make it easy to digest, I split the tutorial up into 3 parts: How to draw a face from the front, side and 3/4 view. This is part 1 of 3. I came up with the original methods in these 3 tutorials by measuring over a dozen adult faces, so each tutorial carries over the same measuring techniques. Drawing faces should be easy as pie after you get the proportions down. Here’s my attempt to locate the peak of his head, the lowest point of his chin (which is located on the chin’s left side), the leftmost point of his cheek, and the rightmost point of his ear. There are also clearly major differences, like evaluating and mixing colors, general painting hygiene (letting paint dry, etc. ), and best practices I’m probably not yet aware of. 24 days ago, to kick off December’s challenge, I tried to draw a self-portrait. Once the key is established, and the lightest and darkest values are in place, the intermediate values need to be introduced. Again, this can be done procedurally, by identifying and shading/highlighting the areas which are slightly lighter than the darkest darks and slightly darker than the lightest lights. Continuing recursively in this way, the tonal values eventually meet in the middle, and the drawing (or the relevant part of the drawing) is complete. I think this is going to be a theme for the entire Month to Master project: If my practice is deliberate and consistent, it’s going to take a lot less time than expected to master these seemingly expert-level skills. Anyway, continuing with this theme, today, I want to share an interesting struggle. I start by blackening one of the eyebrows. This is easy, and hopefully will help me build momentum. After seeing these, I decided I too would like to be the kind of person that casually paints impressively good portraits on the side. For my first piece, rather than drawing the model from the course, I’ve chosen to draw Derren Brown, who originally inspired me to pursuit portrait drawing. I continued in this way, until I outlined the entire shape of the head. In Photoshop, I overlaid my sketch on the photo to check. I was pretty accurate. I’ve also experimented using optical tools (like mirrors and lens) to mechanically create. Although, I haven’t invested enough time to produce anything worth sharing. Interestingly, this completeness is a bit problematic: Because the sketch feels whole (and, from my perspective, represents an interesting, standalone piece of art), I struggle to continue working on it. This new challenge starts today, December 1, 2016, and, by December 31, I hope to be a master of portrait drawing. It almost feels unnatural to add tonal values to the sketch, as if I’m defacing something I worked hard to create. Should I wait for the first of each month to start a new challenge, and enjoy my few days of relaxing (if available), or should I just use my extra time towards future challenges and start immediately? While the result is artistically interesting, much of the work was done by a projector. I created a paint-by-number blueprint (again in Photoshop), projected it onto the canvas, and traced it in pencil. This is where I stopped for the day, after another 2.5 hours of working. In order to accurately see tonal shapes, and avoid psychological errors, I’ve found one method to be surprisingly successful: squinting. Nevertheless, even with these critiques in isolation, the portrait as a whole comes together nicely and captures a strong likeness. Thus, I’ve left it as is, since I care more about an overall likeness (versus a non-cohesive collection of individually accurate features). Watching Derren paint, it seems like there are clear parallels between shading a drawing and painting a portrait: He sets a mid-tone color, adds the lights and darks, works his way towards the middle, and then adds detail. I ended up across the street from my apartment at a well-lit coworking space, which was great for drawing, but not-so-great for picture-taking. The abundance of overhead lights meant that, however I positioned my body, I was always casting a shadow on the portrait. I continued with the upper part of the beard, and finished up for the day. At first, the blackness of the hair is a bit jarring, but it accurately represents the “exposure” I’m going for (where the hair is emitting no light, and thus, shows up as pure black). With these four outer points drawn, the next step is to draw in the shape of the head. To do this, I continued to triangulate more points, and draw in the necessary curves to connect them. Then, over the next 3.5 weeks, I completed a 10-hour drawing course, drew a few other people, and then spent 8 hours on a new self-portrait. Tomorrow, I’ll starting adding tonal values (i.e. 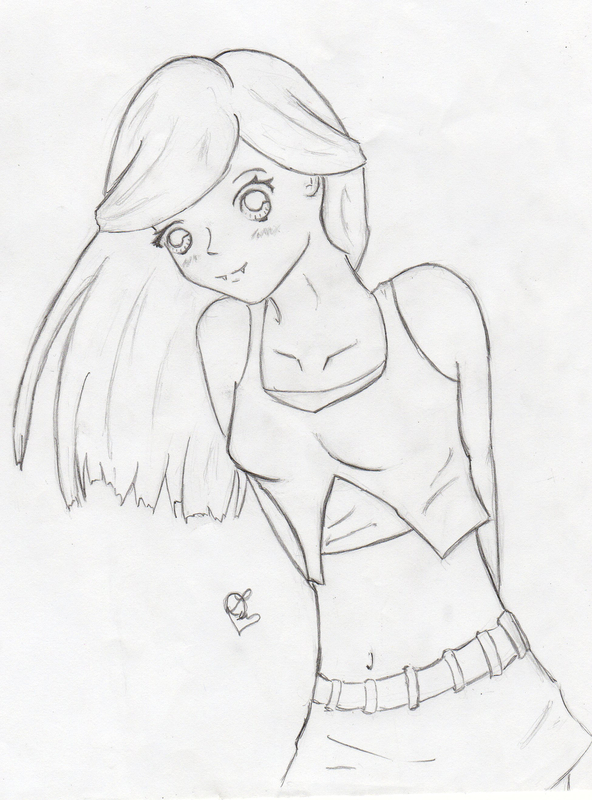 shading) to the drawing. Last month, I memorized a shuffled deck of cards in under two minutes, which required obsessive, consistent practice. If I were to stop practicing, over time I would lose this skill. In particular, as I said on Day 35, I believe that it’s most important to accurately capture the proportions of the head, the head shape, and the level of the features. If these things are done correctly, the rest of the process is very forgiving. If not, the portrait will end up beautifully shaded, but won’t look like the subject. If you have an electric eraser, use it to quickly get rid of all the guidelines that run through your drawing. You can clean up certain dark spots or tight spaces with a kneaded eraser. Just looking at the sketch, the head shapes seems a little narrow for Matt Damon. But, overlaid on the photo, it seems to match up. Should I just start the next challenge once I finish the previous one? I’m not sure. On one hand, this seems reasonable and time-efficient. On the other hand, there is something very tidy about starting on the first of each month. And while my most recent self-portrait is a major improvement, and does look very much like me, I still do have some quick critical thoughts on it, which I’ve broken down into two parts: 1. Likeness and 2. Artistry. Additionally, while doing this, to check the accuracy of my key, I started developing the eye. 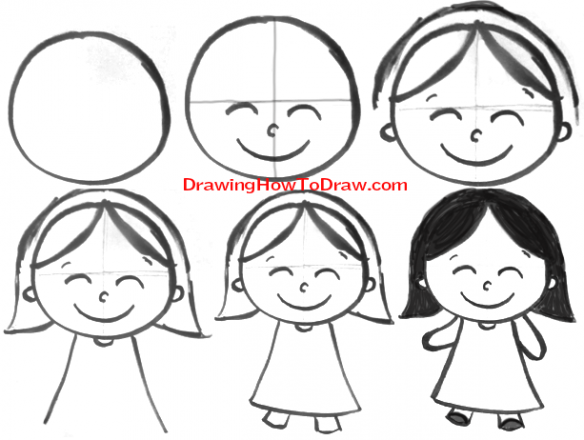 Start by identifying the absolute darkest and absolute lightest areas of the drawing. For the darkest areas, shade them as dark as you can/want. For the lightest areas, highlight them as light as you can/want. Then, I marked eye level, to start gauging the features’ vertical placement. Side note: Here’s a video of Derren Brown, the subject of my portrait, when he used to have hair, experimenting with some of these alternative methods of painting. It’s a pretty cool trick. (If you’re going to watch, stick it out until the end). I made a bit of a mistake here. I drew the horizontal construction lines perpendicular to the center line (which seemed reasonable), but did not mimic the angle of the features in the actual drawing. With all the steps documented, it’s now time to deliberately practice the most important skills. First, I drew in the vertical center line, which will help me laterally place the features. Today, I spent another 2.5 hours watching the course and working on the portrait. I continued shading the darkest areas along the right side of the face. Tomorrow, I’m going to go through my previous posts (1, 2, 3, 4, 5, 6) and write up a “Portrait Drawing Cheat Sheet”. Then, I’m going to break down the cheat sheet into isolated, practicable skills and drills, work on those individual skills for 1–2 weeks, and then start working on my self-portrait to finish off the month. I’m happy with the result, and actually think the self-portrait looks a lot like me. I also drew in the level of the notch of the neck. The first time, I drew it too low, so I moved it up. I gauged this distances as a proposition of the head length. However, I don’t think the same is true for my newly-found drawing skills. Mostly because… I didn’t learn anything new this month. In 20 years, even if I don’t practice from now until then, as long as I can remember triangulation and outside-in shading, I will be able to fully replicate my results from this month. After checking the angles again, I updated these two new points. For the past couple days, I’ve been itching to start my self-portrait. So, today, I did just that. Nevertheless, I will persist, since, even with the sizing mistake (and the associated challenges), I’m quite happy with the portrait so far. Since I was accurate with the face shape and the level of features, if I continued working, I suspect I would develop the face fairly accurately. As a result, I would likely have enough accurate information to gradually correct the major mistakes with the head and hair shape. This is mostly because I’m very bullish on this entire project. The first thing I did today was add construction lines to my drawing. These construction lines are designed to act as landmarks and help me eventually place the facial features. After spending nearly a month learning to draw portraits, I’m more convinced than ever that anyone can draw. Even if you don’t have any artistic talent. This post is part of Max’s year-long accelerated learning project, Month to Master.Max Deutsch is an obsessive learner, product builder, guinea pig for Month to Master, and founder at Openmind.If you want to follow along with Max’s year-long accelerated learning project, make sure to follow this Medium account. With the exception of the oddly tiny ear, everything else seems to line up well. The head shape, face shape, and hair shape seem accurate. The level of the features and the center line seem accurate. The wing of the nose is a bit too far to the right, but I really just threw that in for fun. When compared with the before, the difference is pretty striking. In the before portrait, I look like a sickly, pencil-sketched version of myself, while the after version has a much nicer roundness and weight to it. Draw a large circle and make a horizontal line below it for the chin. Then sketch the jawline. Draw a vertical line down the center of the face and make sure both sides of the face are symmetrical. Progress still seems fairly slow on the drawing, but I’m making a conscious effort to work carefully through the blocking in phase (so I can practice what I’m learning, and so I can ensure the portrait is built on a strong foundation). Next, I included the eye sockets and some more detail around the nose. Face sketches are wonderful expressions of facially communicable emotions such as happiness, grief, surprise, shock, shyness, and arrogance, apart from several others. However, artists also have a lot to experiment with from face sketches with a more abstract feel, such as faces camouflaged by accompanying cracks and irregular lines on the sketch page, and zoomed in sketches focusing on face parts such as eyes, ears, hair and even the neckline. 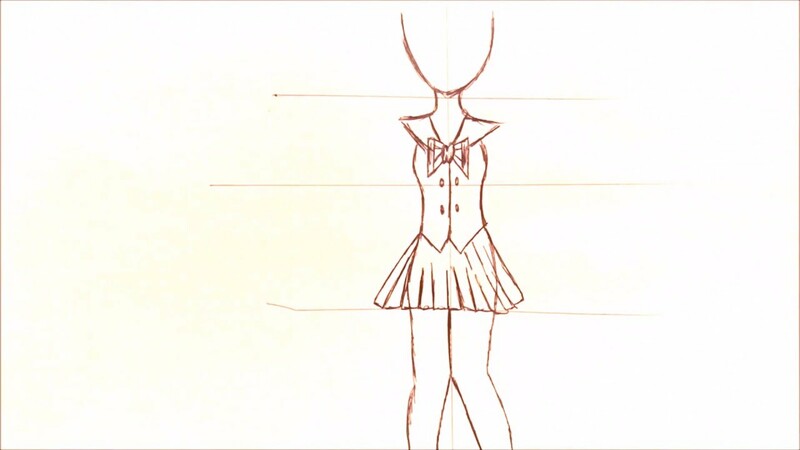 You can also see Fashion Design Sketches. After 7.5 hours of work (2.5 hours over the past three days), I’m finally hopefully that this portrait will resemble Derren Brown. When keying the drawing (and developing tonal values in general) it’s important that the shapes of the tonal areas are captured accurately. During the month of December, I documented my entire learning process in a series of 31 daily blog posts, which are compiled here into a single narrative. In this article, you can relive my month of insights, frustrations, learning hacks, and triumphs, as I strive towards monthly mastery. This is clearly not the right approach. Especially because… As I begin shading the mouth, I will need to make adjustments to the nose area, so everything fits together. As I begin shading the cheek, I will need to make adjustments to the eye area, so everything fits together. And so on. By including best face sketches in their designs, artists can communicate emotions easily and emphatically. Sketchy captions and messages can also accompany face sketches for crystal clear communication of the intended message. Designers can make use of face sketch PSD files to integrate them with other design elements for creating complex sketches that are guaranteed to make web designs, flyers and posters stand out. With these tonal contours in place, I darkened the shadow areas slightly, giving the portrait some roundness and three-dimensionality. Today, like yesterday, I continued adding tonal values to the portrait. I spent a little less than two hours, and am getting really excited about the results. Today, for the third day in a row, I spent 2.5 hours on my Derren Brown drawing. However, unlike the other days, today, I feel like I made a lot of progress. The human eye is really bad at assessing tonal values in isolation — which is why your brain thinks squares A and B below are very different colors, when, in fact, they are the same. Today, I spent a couple hours working on the eyes and nose area of my self-portrait. The head was now looking pretty good, but the neck and shoulders needed a few adjustments. I retriangulated, and adjusted the collar upwards. Today, I spent 30 minutes sketching the head shape and feature guides. In particular, I’m going try to reduce the amount of time necessary to complete a portrait like this. With some practice, I think I can reduce my time down from 14.5 hours to 4–5 hours. Although I’m loving the composition of my self-portrait, I’ve sadly draw everything 10–20% too small. So, thank you people of San Francisco for not getting totally creeped out. I promise I’ll stop soon. These steps are based on the excellent portrait drawing course by Vitruvian Studio, which I highly recommend you purchase if you are serious about learning how to draw. A few days ago, I finished drawing my first portrait. Since then, I’ve reread my notes, reviewed some parts of the course, and wrote up my “Portrait Drawing Cheat Sheet”. Extend the nose’s bridge past the eyelids to define the brow bone (this step is optional). These lines should be very light! Using a 4B pencil, draw the eyebrows along the brow bone. Facial features that can accentuate masculinity are thick bushy eyebrows! The Center Line and Line 2 mark the general boundaries for each ear. Through this fun exercise, you will be able to draw faces faster with little effort, identify proportional errors when you revisit old drawings, identify what makes certain faces look more realistic than others, be able to draw cartoons, caricatures and more. Part of me lacks the motivation to continue drawing, as I feel like I’ve already accomplished my goal. The other (more overpowering) part of me realizes that I have another 21 days to improve even further, so that’s what I plan to do. 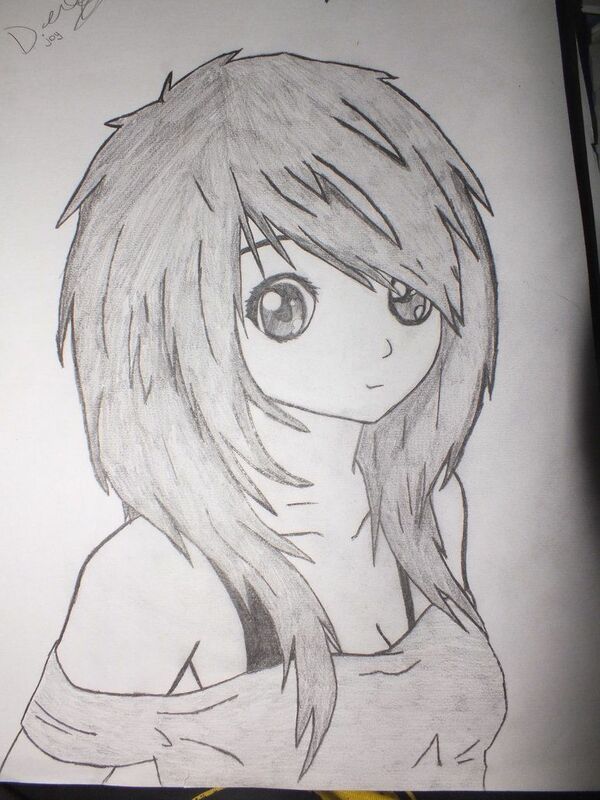 I continue with my black pencil, darkening the other eyebrow and the hair. This establishes the entire tonal range of the drawing, which is called the key of the drawing. I started by adjusting the center line slightly for the nose, and marking the nose’s outer boundary. Today, I’m going to practice finding the correct proportions of the subject’s head using a few celebrities: Matt Damon, Natalie Portman, and Morgan Freeman. So far, the portrait doesn’t look like much, but I still learned a bunch today. I particularly like the triangulation technique, which makes drawing much more procedural and mathematical (a.k.a. easier for me). Before I drew my self-portrait, I drew a portrait of Derren Brown. Today, I continued working on my self-portrait. Although it’s coming together nicely, I made a mistake upfront that’s definitely costing me now. The contours of skin, the gripping beauty of eyelashes, and the rugged styles of beards – all complex art aspects are wonderfully exhibited by face sketches. 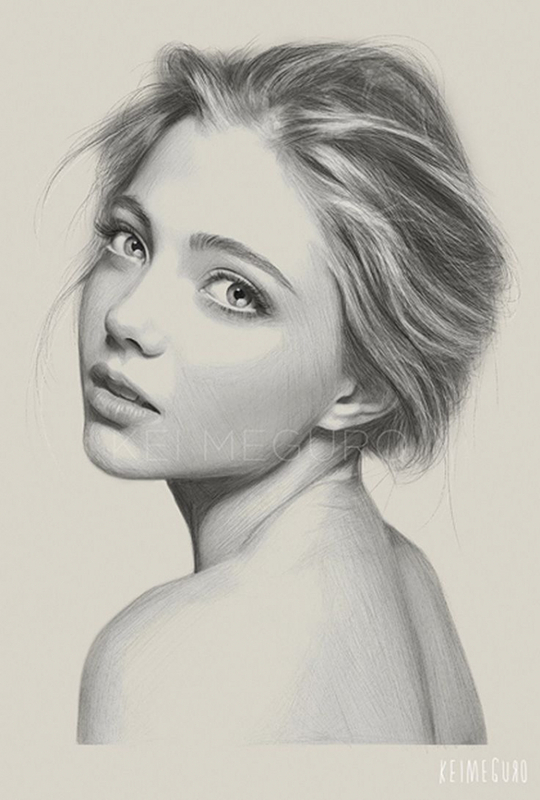 Artists and designers can explore the best of face sketches collections to not only learn more from the wonderful branch of art, but also to directly include the premium face sketches with variations of saturation and contrasts in their own designs. However, now that I’m trying to carefully model the lights/shadows of my face, I need more light. For my first portrait of the month, I’m quite happy with how it turned out. On December 24, 2016, after 26 hours of practice, I found out that the answer was yes. I’ve had strong artistic tendencies since I was a kid, but I’ve never invested much in my fine art skills. Instead, I’ve channeled my artistic impulses mainly through music, film, and computer-aided design. Basically, I’ve used everything at my disposal (except for fine arts skills) to create artistically. In most of my posts, I tend to be pretty positive (i.e. “Whoa, today went better than expected…”, “I’m really pleased with today’s progress…”, “I can’t believe how good this is…”, etc.). Tomorrow, I need to finish the mouth, the ear, the neck, the lower part of the beard, and perhaps the clothing. After many more minutes of work on the eye, I stop for the night. I’ll continue more tomorrow. Draw the upper hairline somewhere in between line A and B. It’s up to you how large you want the forehead to be. To draw a receding hairline, go above line A. When you’re drawing a man’s face, bring in hair from the sides of the head to create a solid and visible looking hairline. Instead, I got caught up making micro-changes to the parts of the portrait I’ve already worked on (the eyes, nose, forehead, etc.). It seems I can make small improvements forever. Today, I only had ten minutes to draw, so I spent all ten darkening the hair and eyebrows on my self-portrait, until they were as black as I could get them. Today, I spent an hour developing out the rest of my self-portrait. Next, I start on the prominent eye. This is where the real defacing starts, as it’s going to be a while until it doesn’t look like I’m wearing makeup. Tomorrow, I’ll continue following the course, and start drawing in the facial features. Although today’s darkening session improved things, the portrait still seems a bit odd and unbalanced because of the nakedness of the mouth and cheek. I’ll start tackling those areas tomorrow. I’m definitely eager to start a new challenge, since I like the idea of always being in pursuit of something (which maybe suggests that I need to learn how to relax). Nevertheless, instead, these past two months, I’ve finished both challenges on Day 24 (of the month), and thus, needed to wait, without a challenge, for a week, until the next one began/begins. And while this seems like a major leap from my drawing studies, I now have the artistic confidence to attempt a painting like this, without any (or very little) additional instruction. I added in the center line of the lips and the shadow on the nose. Extend the 2 lines where the inner corners of each eye are located. These guidelines will determine the nose’s width. Now that we have a box, it’s time to draw the nose. Click here to see my nose tutorial! Start with a circle, resting it anywhere between line 1 and 2. You can give your male character a more chiseled appearance by drawing the nose using very angular shapes. With the general tones in place, I’ll have enough momentum to push the portrait towards completion. To do this, I used a new technique I learned called triangulation. To triangulate a new point, I first sight (try to visualize) the angles to this new point from two existing points. Then, I draw lines from the existing points in the direction of the new point based on the sighted angles. Finally, I mark the new point where the lines intersect. No Ruler Method: Without the ruler, I draw lines in this order: CENTER LINE, 2, 3, B, A, C (B is included because it’s easier to break the forehead section in half first, especially when you’re drawing freehand). This is the method I use to draw heads all the time. Here is my “Portrait Drawing Cheat Sheet”, which features step-by-step instructions on how to draw a portrait. For some (perhaps, legal) reason, most apartments in San Francisco don’t have overhead lights in their main living areas. Usually, apartments only have overhead lights in the bathroom and (sometimes) the kitchen, which is the case for my apartment. Tim’s journey is documented in the Penn and Teller-produced film “Tim’s Vermeer”, which I highly recommend you check out. My tonal approach is noticeably different than that used on the Derren Brown portrait. Yesterday, after 7.5 hours of work, I finally finished sketching / laying out my first portrait. Today, I started adding tonal values (a.k.a. “shading the drawing”). Purposefully, I chose to base my self-portrait on a photo with a tighter tonal range, since I wanted to challenge and push my abilities (Drawing a portrait with heavy contrast requires less subtly and is, in my opinion, easier). During the sketching phase of my self-portrait, I didn’t need to see precise tone, so sketching at night was no problem. With my self-portrait, I strayed from both of these advantages. For one, on purpose. For the other, less so. Once you’re equipped with these two techniques, you’ll be ready to follow the “Portrait Drawing Cheat Sheet” and draw your first portrait. On the face, mark the center line with 4 ticks spread equally apart. The eyes will sit roughly on this line. Don’t be afraid to move slightly above or below the line, since eyes are usually slanted. If you want to draw more mysterious manly eyes, click here. With the features in place, I next blocked in shapes for the shadows and highlights. Today, I spent 2.5 hours starting the course and beginning my first portrait. Tim Jenison, on the other hand, does have something worth sharing. Without any artistic training, he painted a nearly-exact replica of a Vermeer painting solely using optical techniques. Finally, I completed the neck, decided not to address the clothes, signed it, and I was done. Yesterday, I declared this month’s challenge a success, noting the differences between my before and after self-portraits. Yesterday, I started following along with the Vitruvian Studio portrait course, and began drawing a portrait of Derren Brown. With the topmost and bottommost points identified, I then needed to identify the leftmost and rightmost points. With each of the sketches, unlike with my Derren Brown portrait, I felt that I was able to see the angle on the subject and accurately replicate it on the page with limited effort. I may need to invest in some powder graphite (but I’ll return to this later). Rather than writing another M2M post today, I’ll encourage you to check out that post if you’re interested. Thus, to set a baseline for this month’s challenge, I’ve drawn a before self-portrait with my current drawing skills. Although it’s not the absolute worst thing ever drawn, it sadly doesn’t look very much like me. Sketches have made an indelible place in the history of art as well as the hearts of artists, and that’s not without reasons. The subtlety of shades in sketches and the success it enjoys in bringing hidden and intricate features atop are astounding to say the least, as is sufficiently exhibited in face sketches. 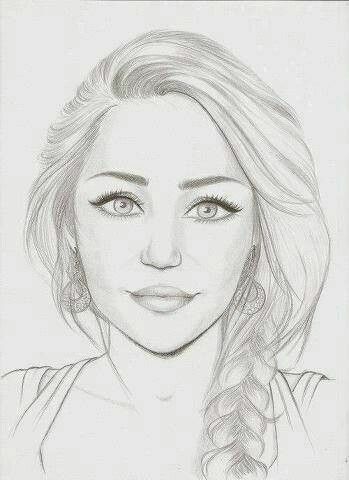 You can also see Cartoon Face Sketches / Designs. Picking up where I left off, I continued to block in shapes for the features. 1. LikenessOverall, the likeness is strong. The portrait unequivocally looks like me. Although, it isn’t perfect.My expression/emotion in the portrait is plausibly mine, particularly in the eyes.The shape of hair near the ear and back of the head is very accurate. However, the hair line doesn’t seem completely right, and it’s probably the second biggest reason why the portrait doesn’t look perfectly like me. The hair line should probably come down on the forehead and should be less rounded. When I snapped a photo of myself (on which I based this portrait), I had just gotten a shorter-than-normal haircut, which is probably why I’m not used to the haircut I drew.On paper, I feel I captured the nose perfectly, but, as a result of the shadow, it may seem slightly too small/short. To address this, I could have accentuated the tonal difference between the cheek and the shadowed part of the nose, but I wanted to remain as tonally accurate as possible and chose not to.I’m very happy with how the neck turned out. Its weight and main features (the Adam’s apple and the notch at my collar line) seem accurate.There is something odd about the ear. It seems a bit out of place.The eyebrows may be the slightest bit thin, but they are very close to reality. The biggest potential miss is my cheek. While I do have prominent cheeks when I smile (which I’m not doing here), I also have a fairly slender face and a reasonably defined jaw. Depending on how I look at the cheek, it sometimes appears too round and too full. Other times, when I look at the portrait, my eye renders this area properly. If anything, I probably could have made the bottom of the face (in the rolling shadow) a bit more angular. Nevertheless, I must continue. So, here I go… Time to temporarily deface my work. I finished up my key, by adding shadows to the lower face and the back of the head, and was ready to begin modeling the form (finding the intermediate values between the darks and lights). Click here for my in-depth tutorial on how to draw eyebrows! I hope you guys enjoyed this tutorial on how to draw a face for beginners and found it easy to follow. If you have any questions or requests, leave it in the comments below and I’ll get back to you as soon as I can. This sounds obvious, but again, your brain and visual system can play tricks on you. Your brain is attempting to see a face (via your psychologically skewed, emotions-based mental model of a face), and not just tonal blobs. Before, I get to that, though, let me first share today’s progress. Learn to draw unique faces by experimenting with various eye shapes, eyebrow angles, nose lengths/widths, etc… Grab a piece of paper and draw as many faces as possible! 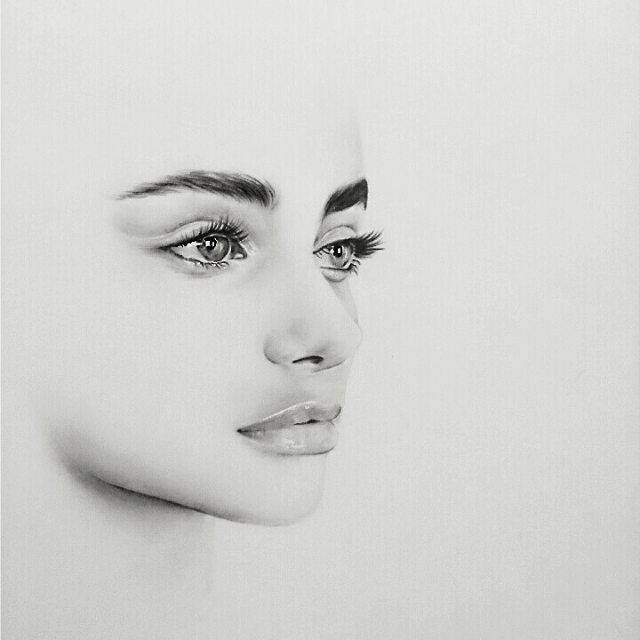 On December 1, 2016, I asked myself the question: With only one month of practice, can I learn how to draw realistic portraits with only pencil and paper? However, in my past three posts (I made a mistake, Intentionally defacing my self-portrait, and Fighting for photorealism), I’ve tried to interrupt this trend, and share some of the day-to-day challenges I face. Well, that’s not exactly right. While I didn’t cultivate any new drawing-enabled motor skills or artistic skills, I did learned to structure my already-existing skills inside of a better drawing process. In my life, I’ve created a fair bit of (what I’ll call) art. However, I’ve done so, not by relying on well-developed fine art skills, but instead, by cheating my way through the artistic process. In fact, this psychological problem of misinterpreting faces is so common, there are entire drawing systems (like drawing upside down, drawing the negative space around the face, etc.) designed to combat these problems. In the coming days, I will write a few detailed posts about what I’ve learned, how I plan to move forward, etc., but for now, I’ll just share the final photos of my progress. However, before I make it happen, I thought it would be fun to share some of my previous works. Tomorrow, I’ll go swing by the art store and pick up a few fresh ones. 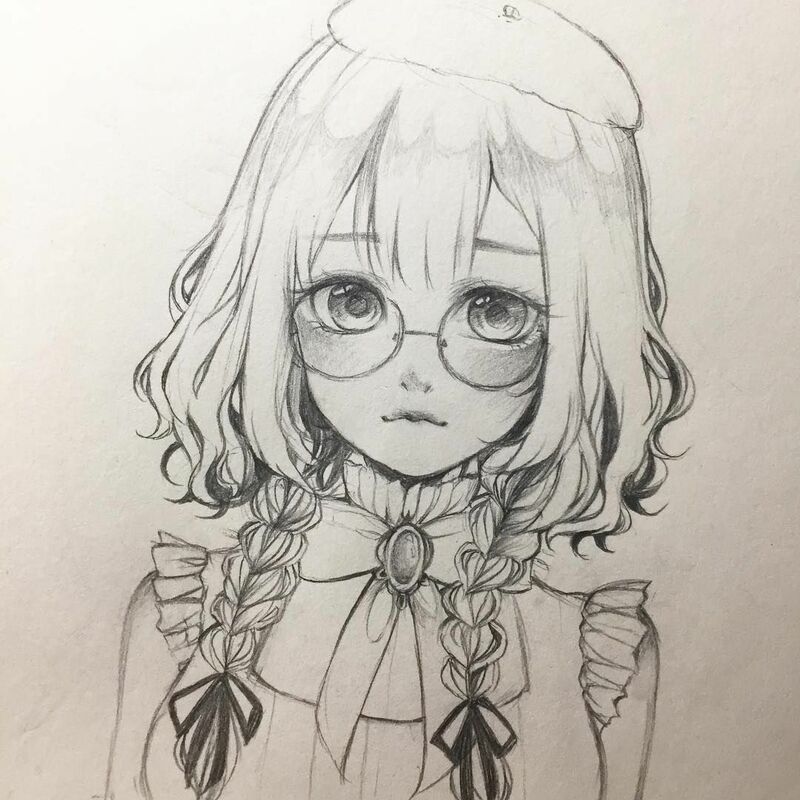 For the month of December, my goal is to draw a realistic self-portrait with only pencil and paper. Along the way, in order to learn the fundamentals of drawing and portraiture, I will also draw many other faces, which will hopefully keep this month’s posts more varied and interesting. Then, I arbitrarily marked, on the top level, the highest point of the head, and then used the angle between this point and the bottom of the chin, to locate the bottom of the chin on the page. Less purposefully, I chose a photo where the midtone of my face was darker than the paper. Today, after another 2.5 hours of work, I finally completed my Derren Brown portrait. As I mentioned at the beginning of this month, British illusionist Derren Brown originally inspired me to start drawing portraits. In fact, to acknowledge this inspiration, Derren was the subject of my first portrait. Then, I simply filled in the sketch with paint according to my computer-generated instructions. Derren looks a bit too shiny right now — a bit like a mannequin or the Tin Man — but I’m optimistic that this effect will vanish once I model the rest of the form. Again, I think this is okay compositionally, but it’s still a bit of a problem — particularly, for two reasons. Before I show today’s progress, I want to share two techniques I learned that make it significantly easier to accurately add tonal values to portraits. Finally, I added in shapes for the eyelids and eyes, and finished up for the day. In other words, if I can remember the process, which, in my opinion, only depends on two very straightforward insights, I will always be able to draw at the level I can now. In the course, the teacher mentioned that it’s good to start with a small area that exhibits the full range of tones. I considered drawing in the bathroom, but this isn’t entirely comfortable. Especially because I was worried that the portrait would get wet/damaged on the sink, whose counter is the most viable drawing area. This month, to learn how to draw portraits, I’ll be following the Portrait Drawing video course from Vitruvian Studio. Note: Remember to use a blunt HB pencil for these steps. I used a 4B so you can clearly see what I’m doing. Remember, the darker you go and the harder you press, the more difficult it will be to erase your under-layers/guidelines. Perhaps, I’m just stalling out of fear: Once the mouth and cheek are developed, I’ll have a much better idea if the portrait is any good. I started by arbitrarily drawing two lines on the page to indicate the level of the top of the head and the level of the bottom of the head. This post is sponsored by my education company Openmind. Openmind connects you with world-class mentors to help accelerate your learning and success. Learn more here. This portrait has two big advantages over my self-portrait: 1. The tonal range over the face is much greater, and 2. The midtone of the face matches the tone of the paper. After my light-seeking adventure, here’s what I was able to accomplish. Lastly, I blocked in the main structures of the ear and added an outline for the beard. Last month, it only took me 22 hours to become a grandmaster of memory. In the coming months, I plan to start sketching a portrait on canvas, and then experimenting with paint. Checking in Photoshop, everything seems pretty accurate. Although, the low point of the chin may be slightly too far left. It turns out drawing is very similar. From the outside, it seems much more complex than it actually is. However, once you learn the two or three basic principles, drawing (at least, at my level) becomes nearly as straight forward as doing your laundry. Derren is a British illusionist, who I’ve been following for a while now, and who, I recently learned, casually paints portraits on the side. With these techniques newly-learned, I began to add tonal values to my Derren Brown portrait. Of course, these paintings are built on a prerequisite foundation of drawing, but they also introduce a whole new skill set that I would love to cultivate. Yesterday, I declared that today I would start working on the mouth and cheek areas of my self-portrait. And yet, somehow, the day is over, and the mouth and cheek areas are still naked. It’s starting to look like me, but it still looks like a drawing — mostly because I haven’t blended the newly developed areas like the neck, cheek, mouth, ear, forehead, etc. Pretty much the whole thing. The trick, then, is to create a mechanism to force deliberate and consistent practice month after month. This is the hard part about learning these new skills, not the time required. Today, I practiced triangulating the complete head shape and gauging the level of features.